We always suggest that the very first and most important question to ask is which cat litter is the one that your cats will use? Better yet - which is the one that your cats will find the most inviting? The Boxiecat subscription cat litter service began an ongoing blog series with an aim of educating and providing helpful resources for cat lovers. Litter Box Care 101 will focus on the basics of providing cats healthy and hygienic litter care and tackle the big issues and questions surrounding this important aspect of caring for cats. The first article, entitled Which Type of Litter Should I Use? was published today. “This is a question many cat lovers ask themselves, and it prompts a slew of other questions - Which cat litter is healthiest? Clumping litter or non-clumping litter? Which clumping kitty litter works best? Which is the most dust free cat litter? Which controls ammonia odors best? Which is environmentally friendly? -All natural litter (one ingredient is best, the less carbon, additives, and blue dots you see the better). The article continues with expert commentary and secondary issues such as the inconvenience of litter care for cat lovers and its effects on the consistency of litter box care. 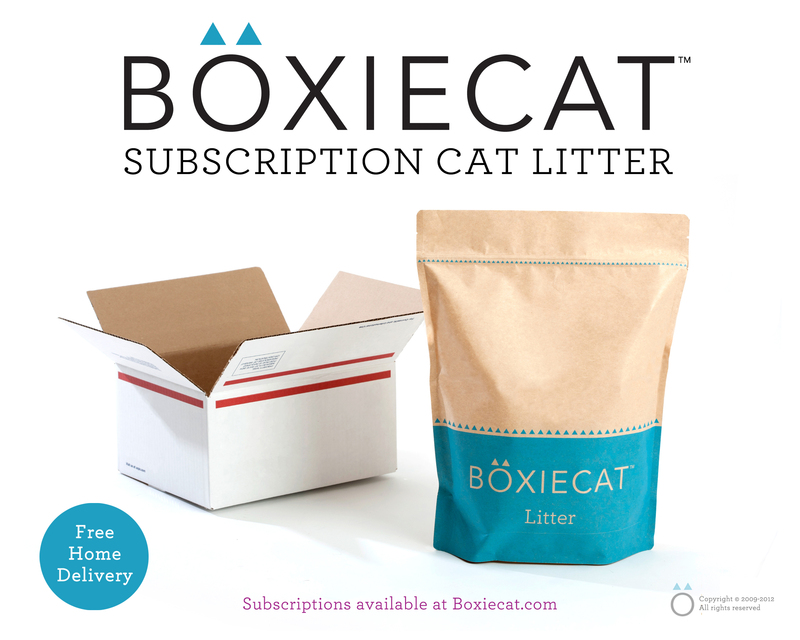 Boxiecat, whose service has subscribers nationwide, is offered exclusively through the Boxiecat website, and Boxiecat brand litter is shipped directly to subscribers. 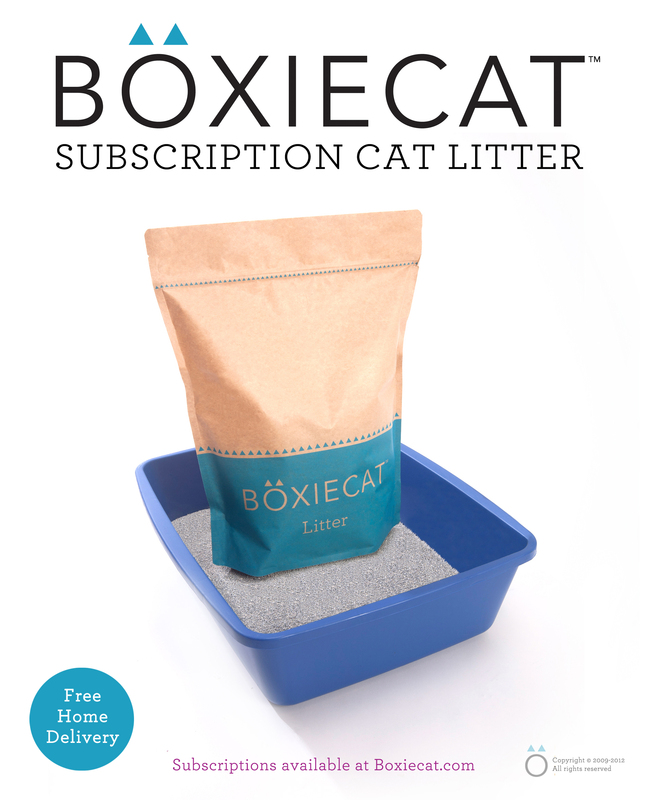 Boxiecat is America’s first and only subscription cat litter service. Subscribers save time, eliminate round trips to the store, and put an end to lifting and lugging heavy containers. The service features personalized shipment timing and vacation holds. Payments are made on a pay-as-you-go basis, and subscribers can pause or cancel their account at any time. A necessity for the 86.4 million pet cats in the U.S., Boxiecat provides a unique and convenient solution to the problems associated with cat litter. Boxiecat is Better Business Bureau accredited. Boxiecat manufactures its own brand of veterinarian recommended, all natural, premium clumping clay kitty litter. Hard clumps form on the top rather than soaking to the bottom of the box, making litter care a breeze. Boxiecat litter stays ultra-clean even after weeks of scooping. It is unscented and completely eliminates ammonia odors without using fragrance as a masking agent. 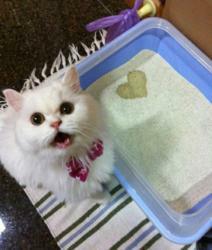 An over 99.9% dust free cat litter, it is hypo-allergenic and long lasting. Boxiecat has been recommended by The Washington Post, Cat Fancy Magazine, About.com, animal shelters, and veterinarians across the U.S., and has been featured in USA Today, Cornell University College of Veterinary Medicine’s Cat Watch Newsletter, The San Francisco Chronicle, The Houston Chronicle, Treehugger.com, and Examiner.com. For more information about the Boxiecat service and Boxiecat brand premium litter, or to subscribe, visit boxiecat on the web at http://www.boxiecat.com. Customer Care can be reached at (877) 817-0253.